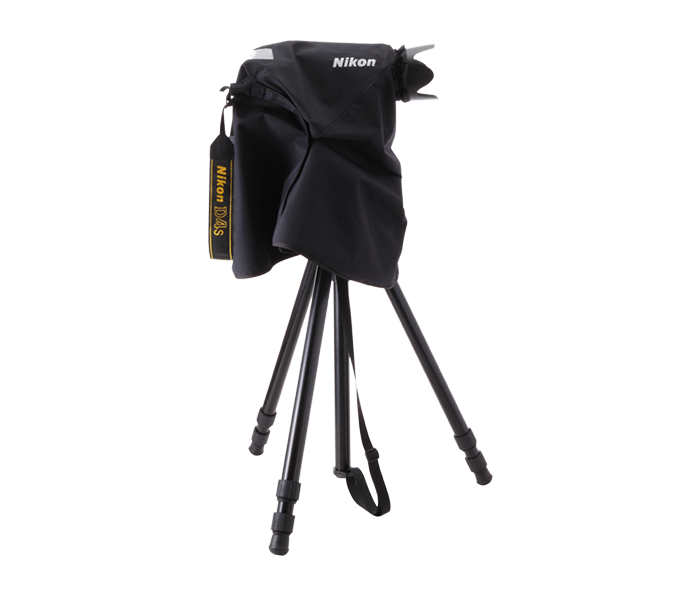 The Rain Cover (Small) is designed to protect Nikon D-SLR cameras from the elements while shooting in inclement weather. The Rain Cover fits over Nikon D-SLRs and smaller lenses and can be used with the camera on a tripod or handheld. It features a clear panel that allows you to see through the viewfinder and the displays on the top and rear of the camera body easily.